Austian Chapman was born deaf. 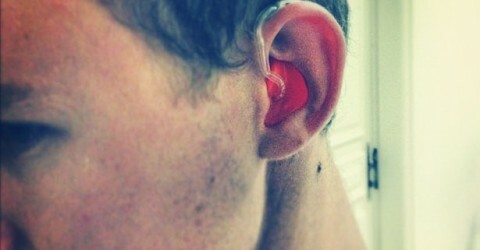 But recently he got a new a type of hearing aid device which allowed him to listen to music for the first time. I wonder how would it feel to listen to music for the first time. Or see for the first time. Or smell for the first time. Or just after a week-long “break”? Probably, it would be 100 times more vivid than what we are used to. I wonder whether in the future people will incorporate short intermittent “breaks” using technology in order to sharpen these feelings.